Once a year I fly from New York to London to attend the London Book Fair. After crossing the Atlantic for much of the night, it is normal to feel out of sorts on arrival. This year I was fortunate because the customs line was unusually short; even my luggage appeared after ten minutes. It was a quick train ride from Heathrow to Paddington Station, followed by a taxi ride to Kensington. After a short rest, life began to seem bearable again. Shortly after arriving at the hotel, I received a message from my good friend and business associate Jonathan Williams. He asked if I would be interested in attending a publishing event that evening with him and his wife Lesley at a place called the Stationer’s Company. I deferred the decision, as I was not sure what my plans for the evening would be. Eventually, I decided it would be good to go and so around 6 pm, I grabbed a taxi and headed off to the financial district of London near St Paul’s Cathedral. 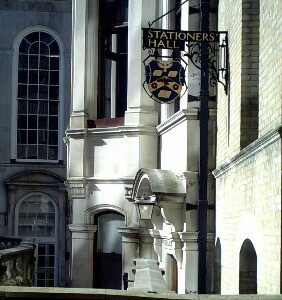 It turns out the Stationer’s was founded in 1403 and originally served as a guild for authors. The verse itself was unfamiliar, though I am sure I have read it countless times. What stunned me was the power of the two short lines. It was as if I had been hunting for this verse for years. Finally, I found this hidden treasure in full view; it was as if I had been purposefully given a map and instructions to go to this event to find something very important. I have oft told the story of how in a desperate moment I entered a church in New York and prayed a simple prayer and how that moment lead me a few weeks later to go out and buy a Bible. This act in turn would lead me in a new direction, ultimately to my writing Getting to Know Jesus. For a person who knew little about Jesus and less about the Bible even into his middle years, it has been a remarkable pilgrimage. In my earlier years, I did not see the purpose of life clearly. Perhaps the underlying theme of those years can be summed by the prevailing philosophy: “Let us eat and drink, you say, for tomorrow we die.” (Isaiah 22:13) I have always been acutely aware of the tragic divide between our temporal existence and our immortal longings. We know the truth about our mortal existence, but we avoid the implications like the plague. We long for the grass to flourish and the flowers to last because as Solomon writes in Ecclesiastes God “has also set eternality in the human heart.” The mortal heart cries out in this desert wasteland as our immortal longings seek fields and grasslands that never give way to decay, remaining fresh and beautiful forever. When I reflect upon the arc of my life clearly, I see that I fruitlessly battled the tragedy of time without the comfort of knowing the truth of Isaiah’s declaration that “The word of our God endures forever.” If you choose to live in the world of withering grass and fading flowers without knowing the truth of God’s Word, then life will be a tough struggle indeed. 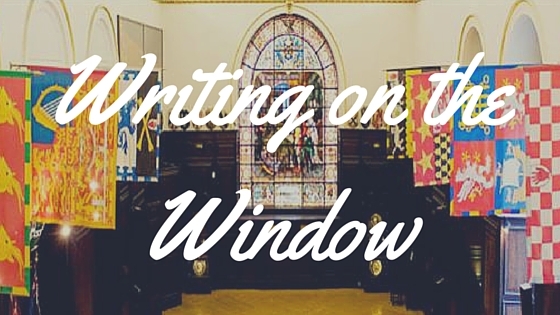 This entry was posted in From The Blog and tagged discovering Jesus, Eternal, Faith, Getting to Know Jesus, Isaiah, London, London Book Fair, Publishing, St. Pauls Cathedral, Stained Glass, Stationer's Company, Temporary, transformation, What Is Possible with God, Window on May 6, 2016 by kelly.